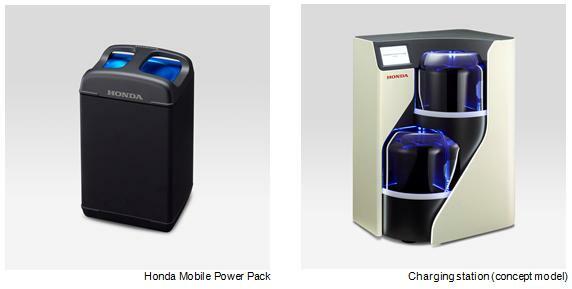 July 13, 2018 -- Honda Motor Co., Ltd. and Panasonic Corporation today announced plans to conduct a research experiment in Indonesia on battery sharing using the Honda Mobile Power Pack ("Mobile Power Pack") detachable mobile battery with electric mobility products, including electric motorcycles powered by the Mobile Power Pack. The two companies are planning to begin the research experiment in December 2018. This research experiment will be conducted as one of the projects subsidized by Japan's New Energy and Industrial Technology Development Organization (NEDO)*1 under the theme of a "research experiment of mobile battery sharing as distributed energy resources." In order to fulfill requirements to conduct this research experiment, Honda, Panasonic and Pacific Consultants Co., Ltd.*2 signed an agreement to establish a joint venture company in Jakarta, Indonesia (Company name: Pt. HPP Energy Indonesia) for the purpose of conducting this research experiment.